Can Waiheke become predator free? 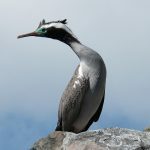 | Gulf Journal Can Waiheke become predator free? 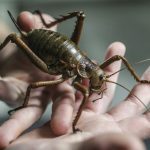 Can Waiheke become predator free? 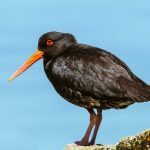 Island of the oystercatchers changes hands, again. PICTURED: Stoat caught nipping into a grey faced petrel burrow in January this year. Waiheke is the site for a bold plan to send mustelids, feral cats, rabbits packing and when community support, technology and resources permit – rats and mice as well. But this is a long game – there is a lot to learn and a long way to go. 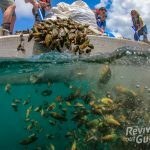 The Hauraki Gulf Conservation Trust (HGCT) is spearheading the initiative supported by partners including Ngati Paoa, Auckland Council, Department of Conservation, Hauraki Islands Forest and Bird, the SPCA and the Waiheke Resources Trust. 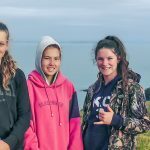 It builds on a number of community based initiatives on the island including Rocky Bay Ratbusters, Onetangi Halo Project, Te Matuku Bay Landcare Group and an increasing number of individual landowners. 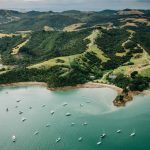 By building on this knowledge and experience Waiheke has the potential to become one of the most significant community conservation initiatives in New Zealand and part of the Predator Free 2050 vision. 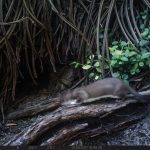 Thanks to funding from the Auckland Council and Department of Conservation the HGCT has embarked on a ‘proof of concept’ initial phase with mustelids (stoats, ferrets and weasels) as the first species to target. They are one of the most significant threats to native species and can be effectively controlled to low levels by trapping. Stoats are the most common of the three species found in traps. A 400x 400m grid of steel using DOC 200 and 250 predator traps has been established across 2500 hectares from Whakanewha Regional Park (which already had an existing network) across to Onetangi. Around 150 traps have been placed in people’s backyards as well as areas of farmland, coast, forest and wetlands. Six local people have been employed part time to undertake the work. To date five stoats have been caught. It may not seem like a lot of catch for the number of traps but these are wily predators which move large distances and one animal can have devastating effects on vulnerable species such as petrels, penguins, dotterel and kaka. A wanted poster has been circulated around the community and in the Gulf News resulting in lots of sightings. In the next month or so we will write up the results from this pilot and prepare a plan to as to how a predator free programme could be implemented across the whole island. Then we’ll discuss it with the community and potential funders. Community support is vital to the longterm success of the project as is ongoing funding. Being pragmatic is really important here – some species like stoats, hedgehogs and rabbits can potentially be eradicated from Waiheke but the other species are trickier because they are so numerous and have small homes ranges. 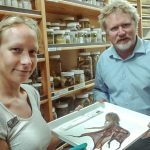 It is likely that initially we will just control species like rodents to levels where they have minimal impacts on key native fauna species and to a level we can realistically manage. Feral cat management requires community buy-in around responsible pet management – feed your cat well, keep it inside at night. If you don’t want it anymore don’t let it go – give it to someone else or ring the SPCA for advice. 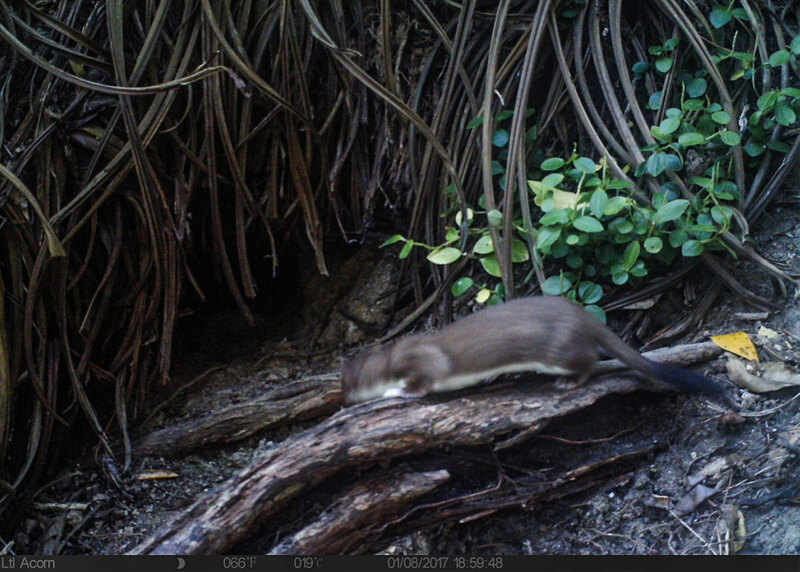 A shout out to all the people on Waiheke who have reported stoats, allowed us to trap on their properties and offered advice and support and landowners and groups investing time and resources into pest control. 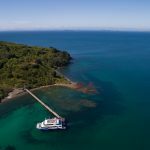 Connecting this into one island wide programme is the way to a predator free Waiheke longterm but it will also require a biosecurity programme to stop eradicated pests from coming back. Increasing numbers of mobile native species such as North Island kaka are visiting as a direct result of successful pest mammal eradications on other Gulf Islands and the diversity of habitat on Waiheke. A community of people who love where they live and appreciate the natural environment. 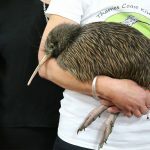 A tag line for the initial project work is “Kaka first then kiwi”in recognition of the value of protecting what is on the island now before any additional species are released. Waiheke offers endless opportunities to showcase people and biodiversity conservation living and working together. Please GET IN BEHIND and be a part of predator free Waiheke. 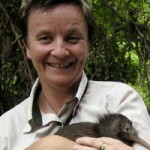 Jo Ritchie | Jo Ritchie helped start up the Gulf Journal, works as an ecologist for Natural Logic and is project co-ordinator for the predator free Waiheke initiative.